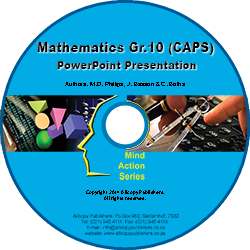 Get this excellent and valuable teaching aid for the educator in the classroom. It’s syllabus focused, user friendly and relevant technology, get all this with the click of a mouse! All theory and examples are presented in the form of Powerpoint slide shows which brings the book to life!